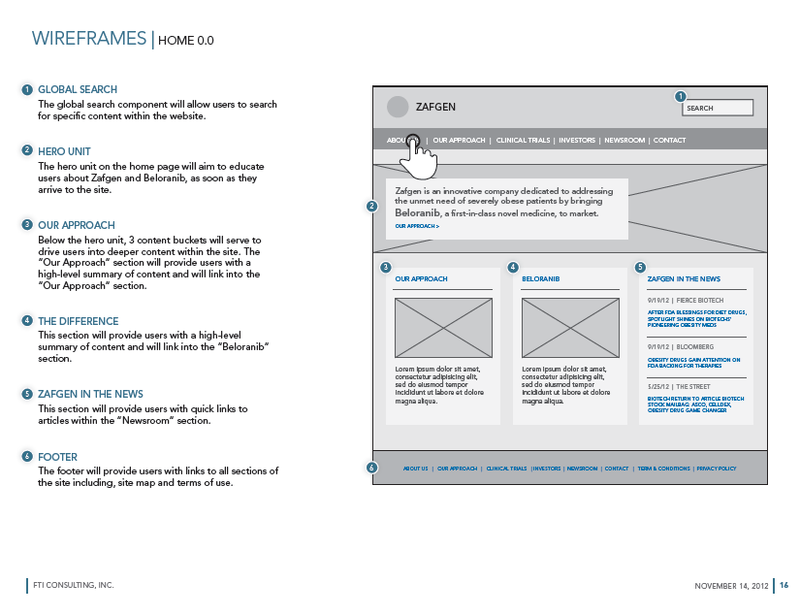 For our first foray into content strategy at a company that had a long history of great design, user experience and production, I worked as a strategist on the Zafgen site redesign. Collaborating with our lead UX designer, I helped determine what pages of the site were necessary and where they would live. 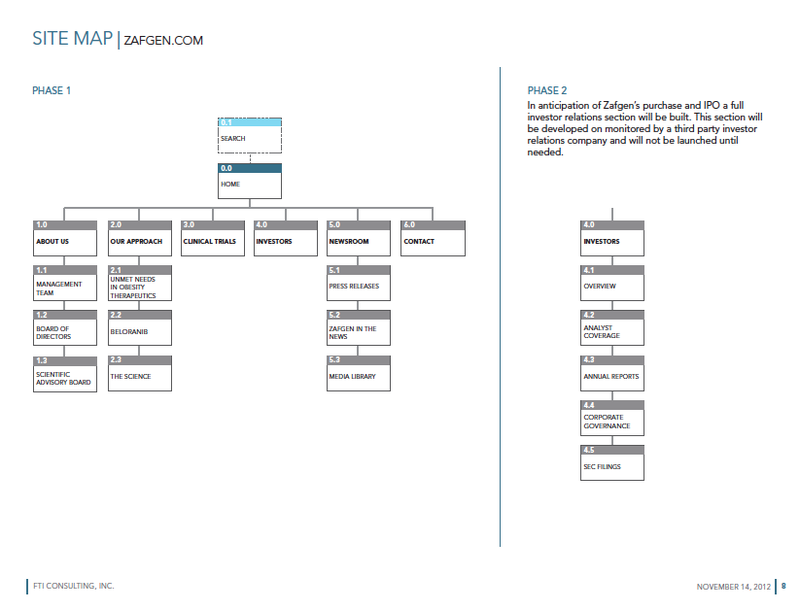 The wires mapped out the content blocks on each page, and I worked with the lead writer on the Zafgen team to determine what that content would be. 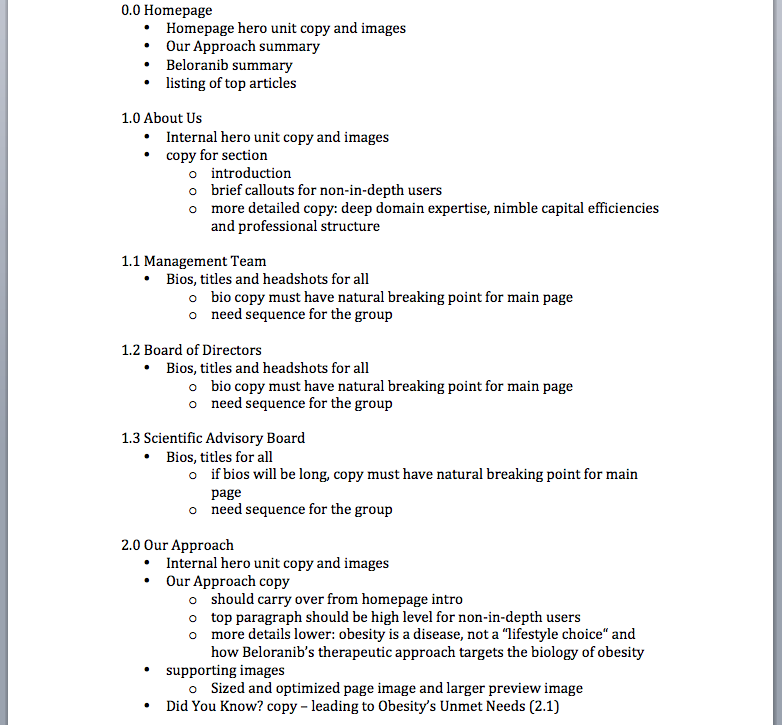 Next, we mapped out what would be needed and proceeded to write, edit, rework and revise the copy for each page of the site, based upon a Content Needs document. Finally, the site was in production, and I helped to quality check each page as it was published to ensure quality responsive design, good content flow on each page and proper SEO tagging and descriptions. See the site as it lives today, top in a Google search for the company and optimized for all devices.